MDF is a wood type which is commonly used by interior designer and decorators. It is light weight, durable, adaptable, multifunctional and can easily be painted. 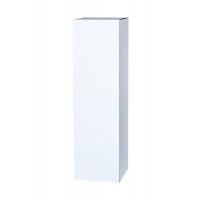 MDF plinths can be supplied in any dimension and colour required. 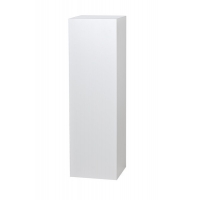 Our MDF plinths have a sleek and stylish appearance, because they have been made with mitred joints. This means there are no visible lines or joints. 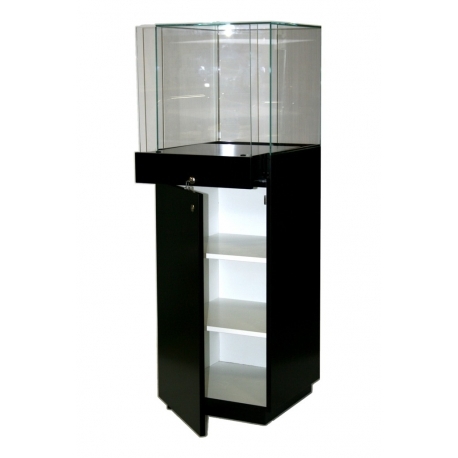 The cabinet plinth includes a door. 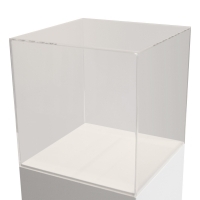 This means the space inside the plinth can be accessible and used as a storage facility - for a PC unit, leaflets or promotional materials. It can be fitted with one-third and/or two-thirds adjustable shelf. Furthermore a functional cable hole can be made through the top to feed a power cable or screen connector through for your display. 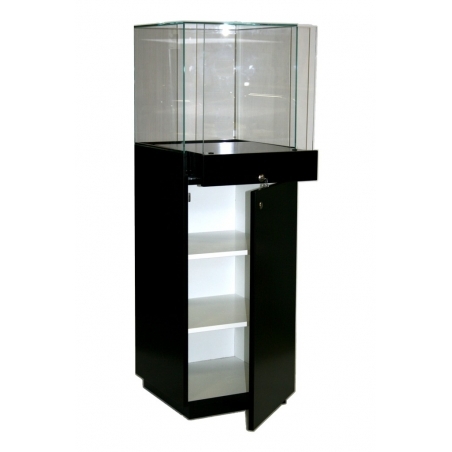 The stated dimensions of the cabinet are the total length/width/height incl. of door and skirting.